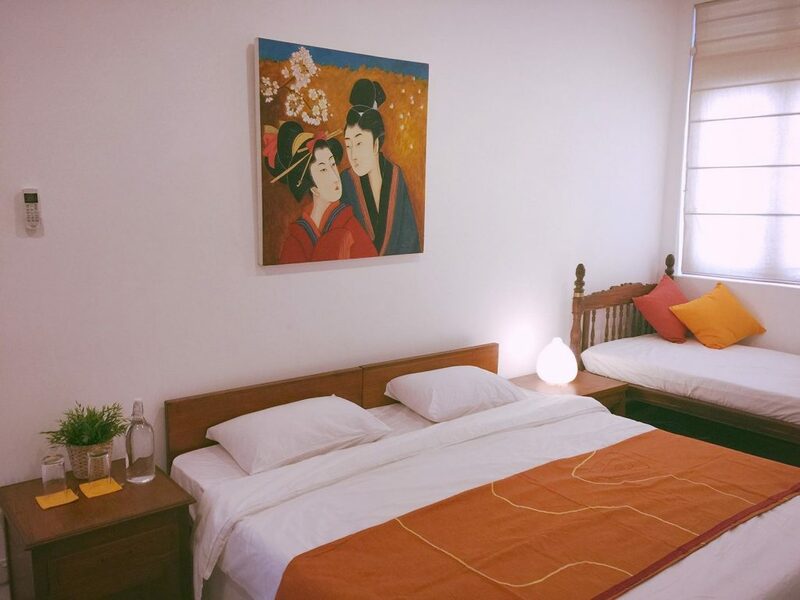 All our rooms are characterized by simple elegance and feature artwork by local Japanese artist, Yoko Okada. 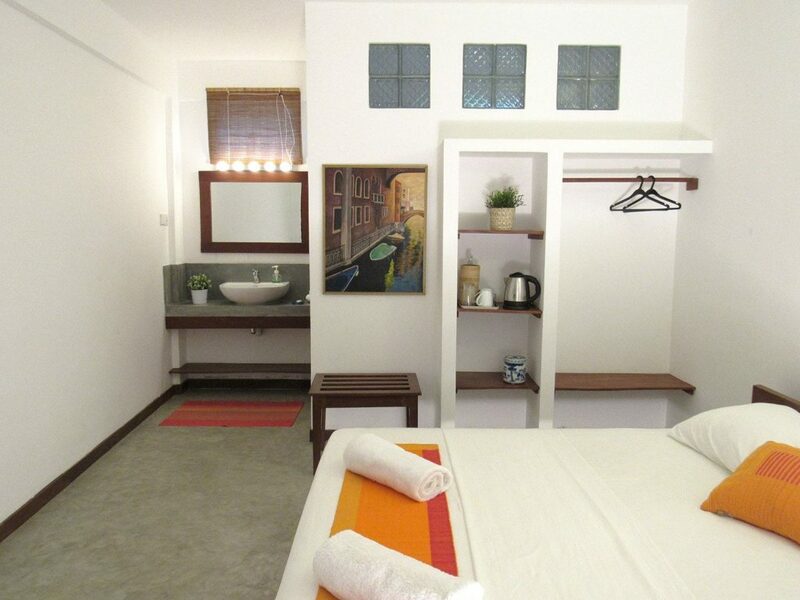 The consciously decoration and color accents give our rooms a welcoming atmosphere. 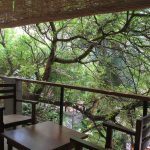 Whether for short stays or longs stays, our hotel rooms will fit for all guests seeking for a quiet and private place to stay. 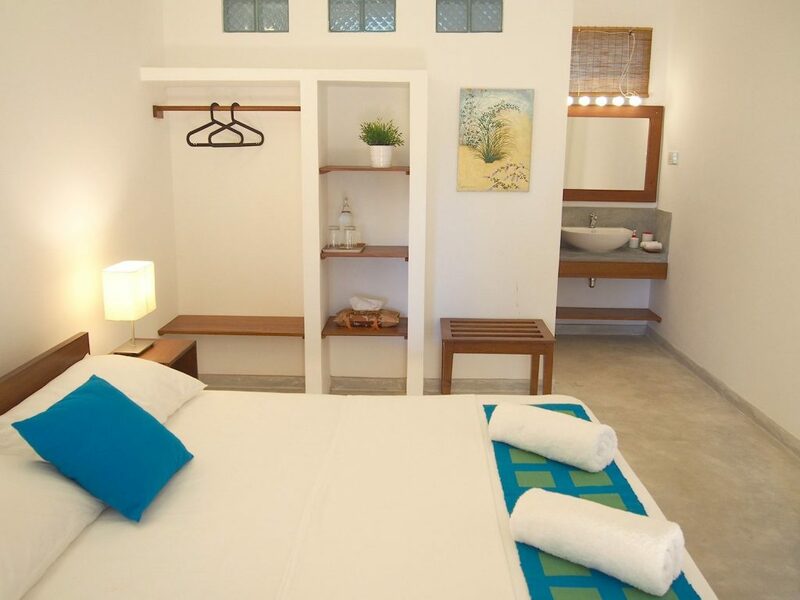 All rooms have complimentary Wi-Fi, as well as international sockets and filtered drinking water. 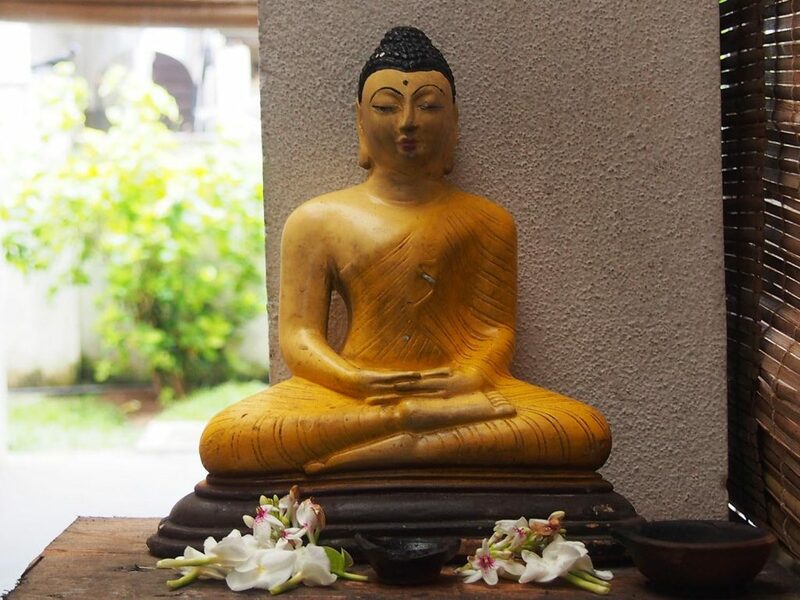 Our water is filled into glass bottles, to avoid plastic and protect the environment. 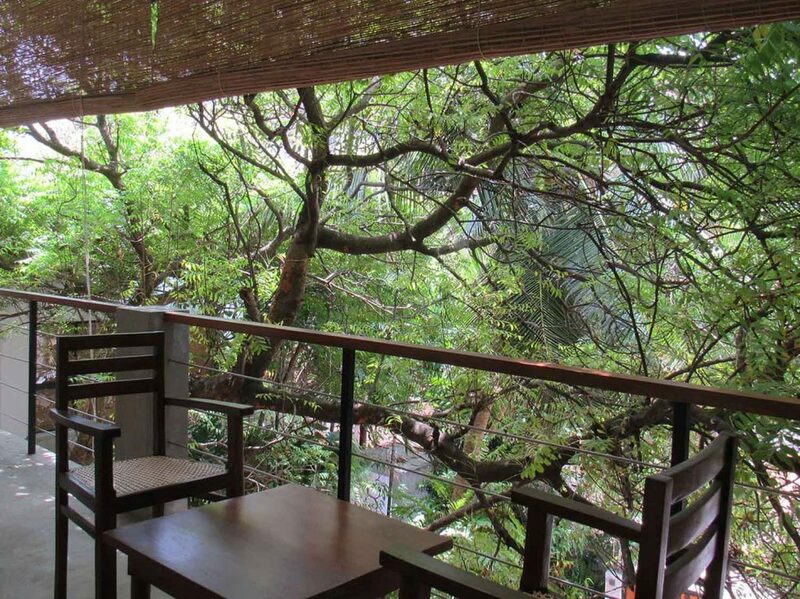 The Superior and Deluxe rooms have access to complimentary self-served tea/ coffee with hot water kettle, so you can enjoy one cup of traditional Ceylon tea in your room, while having a rest after a long day in the city. 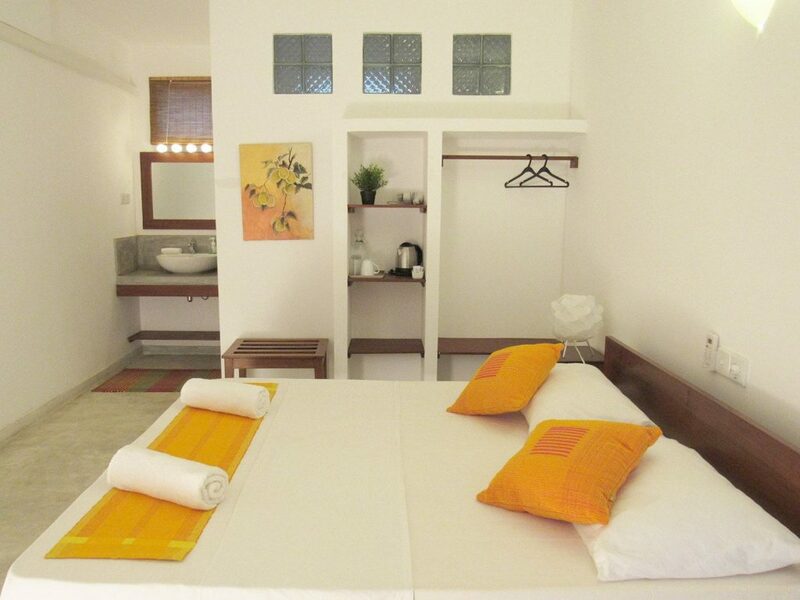 These rooms are offering a hair dryer as well. 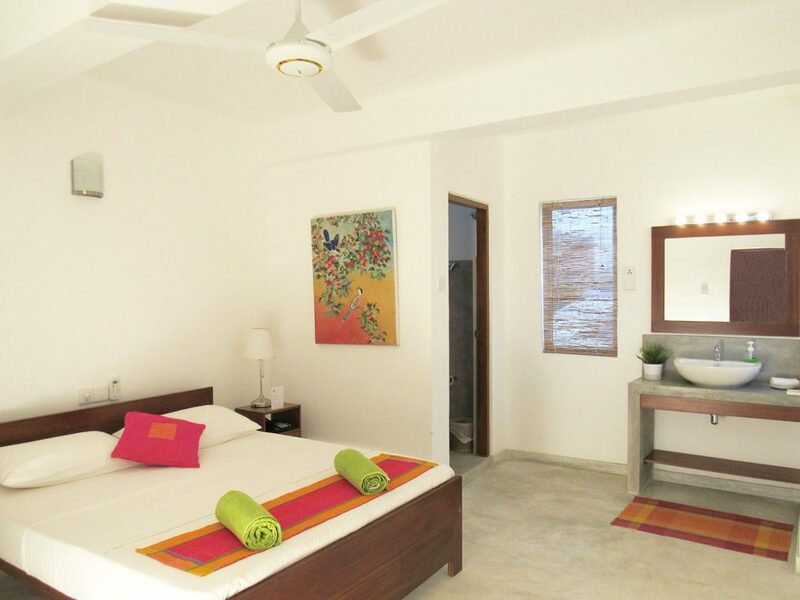 Superior Double King Rooms have AC and fan, a private bathroom equipped with pressurized hot water shower and a balcony overlooking the garden area. 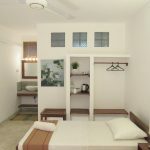 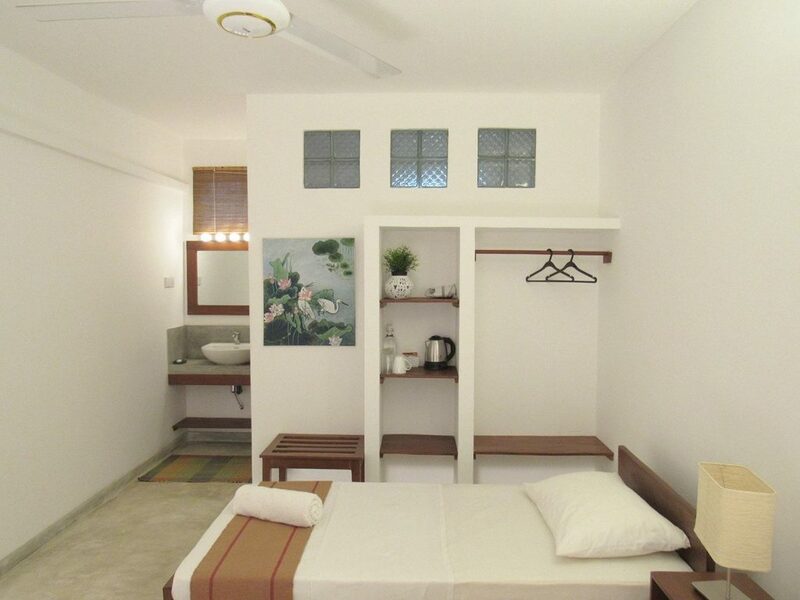 Standard Double Rooms have AC and fan, a private bathroom equipped with pressurized hot water shower and a balcony overlooking the garden area. 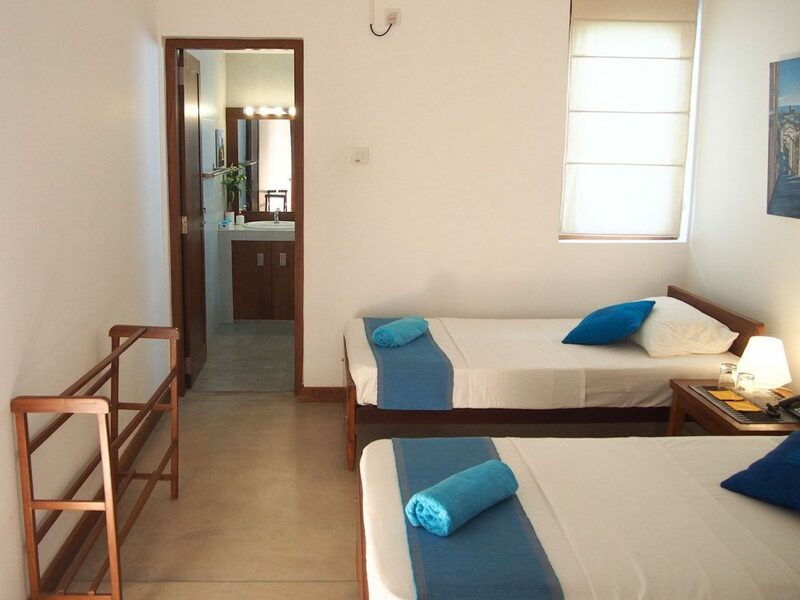 Superior Twin Rooms have AC and fan, a private bathroom equipped with pressurized hot water shower and a balcony overlooking the garden area. 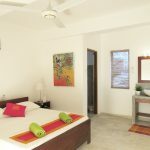 Superior Double Rooms have AC and fan, a private bathroom equipped with pressurized hot water shower and a balcony overlooking the garden area. 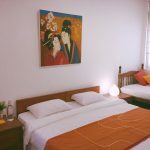 Superior Triple Rooms have AC and fan, a private bathroom equipped with pressurized hot water shower and a balcony overlooking the garden area. 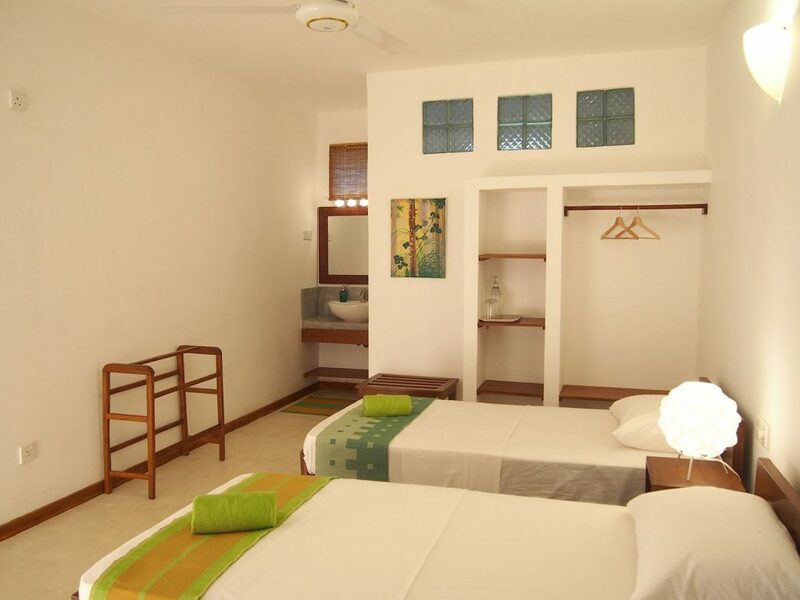 Individual twin room located in Sayura House Villa with a shared large living room, dining room and small garden. 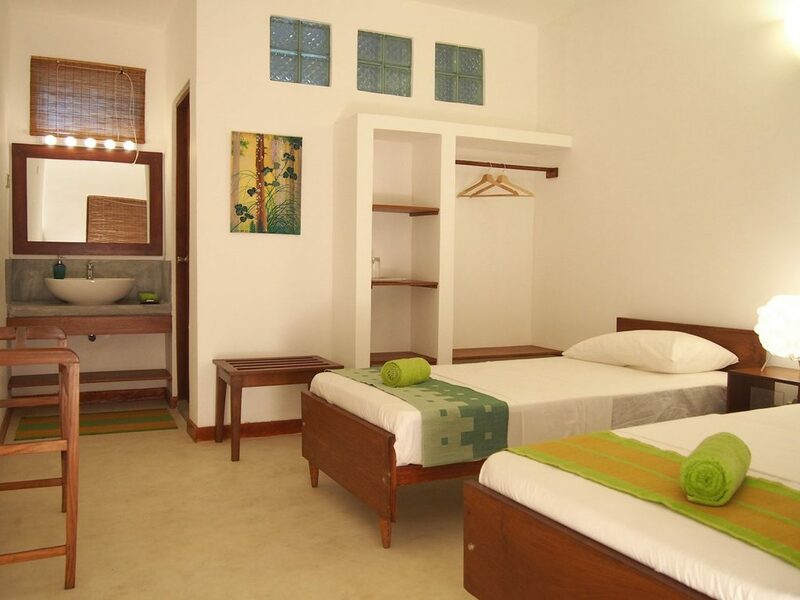 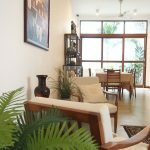 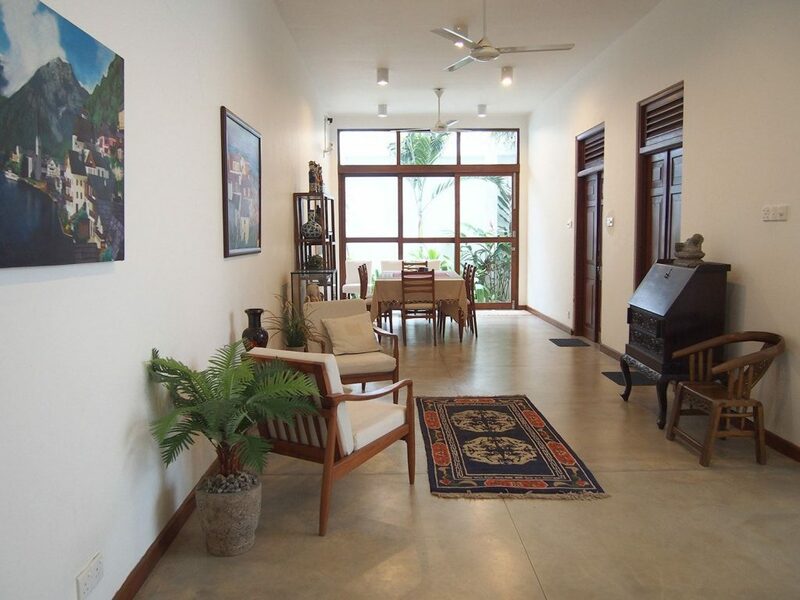 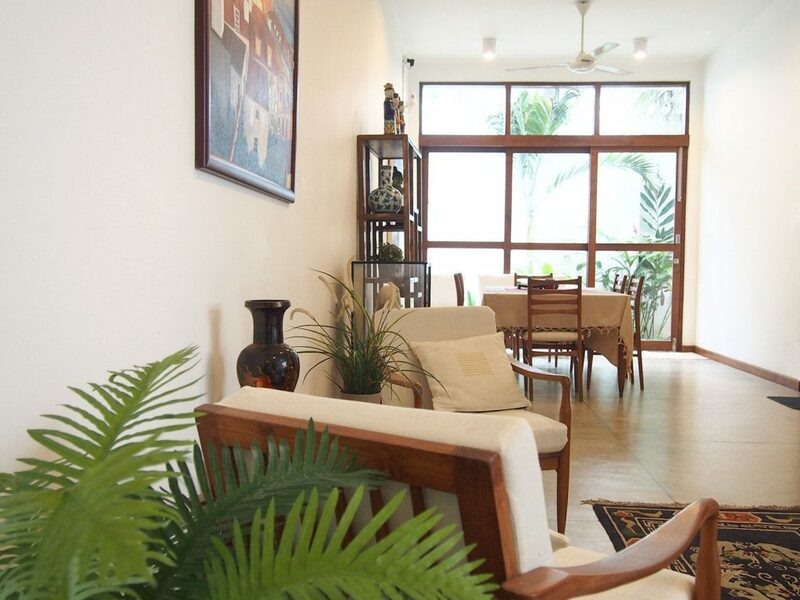 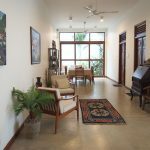 Individual triple room located in Sayura House Villa with a shared large living room, dining room and small garden. 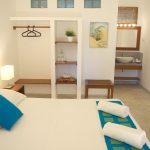 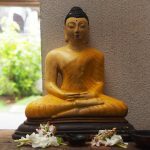 Perfect for families or small groups that want a bit more privacy, the Sayura House Villa has two bedrooms with a private bathroom in each room, a large, private living room and a dining area.